The Christian County Farm Bureau and Country Financial co-sponsored a Marketing Meeting in the banquet room at Krieger’s on Thursday night. 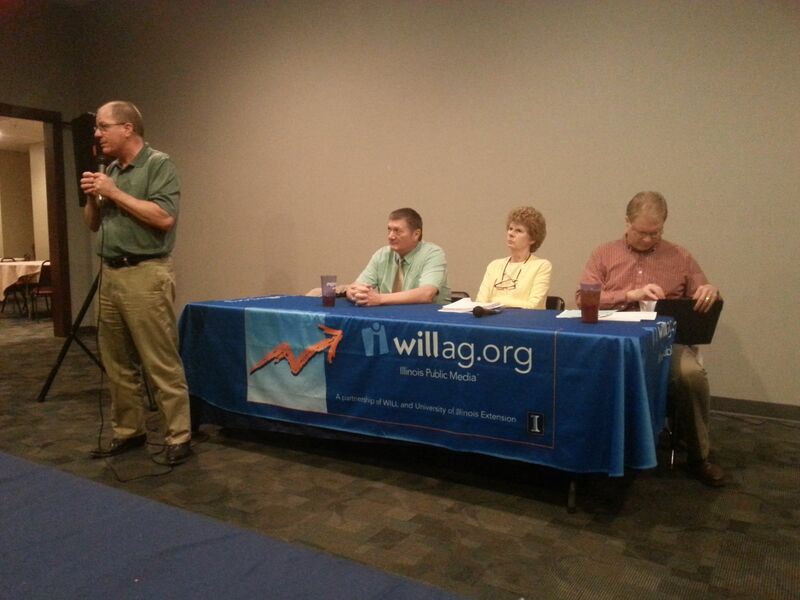 Todd Gleason was the guest speaker, along with a panel consisting of Merrill Crowley, Ellen Dearden, and Curt Kimmel. The group discussed short-term and long-term marketing plans for corn, soybeans, and cattle. Melissa McMillan, Manager of the Christian County Farm Bureau told Regional Radio News, this is one of three meetings they have and schedule it at this time of year, due to the incoming planting season. Gleason said the weather can make a big difference in the market, especially the La Nina that is forecasted following the El Nino, as meteorologists are predicting a warmer than average summer. Jeff Peabody of Country Financial says one thing he learned during the meeting regarding crude oil prices is export is a small percentage of the total gross product. Gleason hosts the Closing Market Report from 2:06-2:36 p.m. on weekdays and Commodity Week on Saturdays from 8:30 – 9 a.m. on Newstalk WTIM.